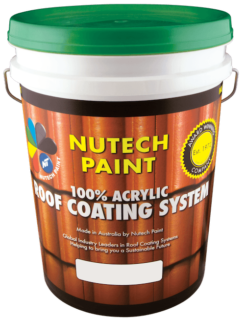 Nutech Professional Roof Coatings that stand the test of time. The average roof in Australia is subjected to incredible extremes, blistering summer heat, winter downpours, harsh ultra violet light and year round biological weathering caused by moss, mould and bacteria. 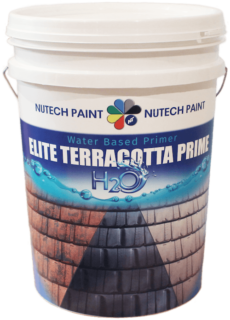 Elite Terracotta Prime H2O is a water based, solvent free primer specifically developed with superior adhesion enhancing properties for glazed terracotta and vitrified terracotta roof tiles. It is designed for use on both vertical and horizontal surfaces, achieving high adhesion without the need for etching solutions. 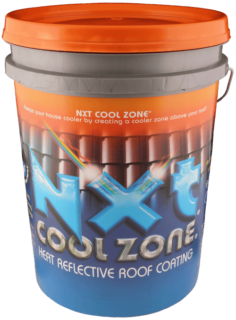 NXT Cool Zone is a revolutionary heat reflective, low VOC, high gloss acrylic roof coating that utilises Thermal Protection Technology to reduce the heat of your roof. 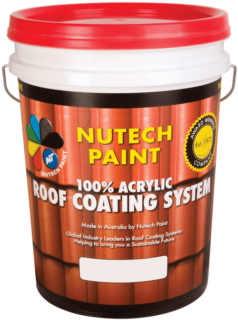 Colour choice no longer has to be sacrificed, as it is available in all Nutech colours. 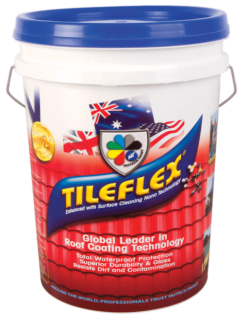 Tileflex is a water based acrylic top coat impregnated with self cleaning nano technology. Providing significantly more gloss on application maintaining the look of a new roof for much longer than a standard gloss acrylic roof coating. Water based acrylic top coat. 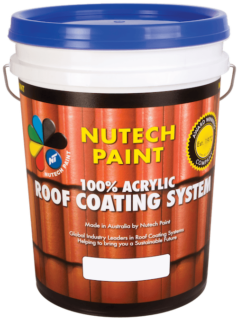 Premium quality penetrating primer and binder for powdery oxidised concrete roof tiles. Thin penetrating primer and binder for powdery concrete roof tiles. 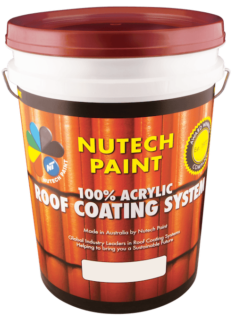 Recommended for correctly prepared zinc, galvanised and bare metal roof surfaces. 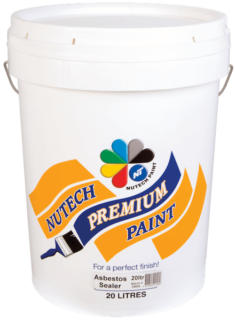 Anti-Corrosion Metal Primer provides excellent chemical resistance and top coat adhesion. 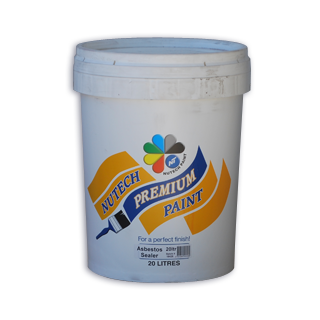 A general purpose primer with a high solids content designed to be used as a filler coat on very rough and porous concrete roof tiles. 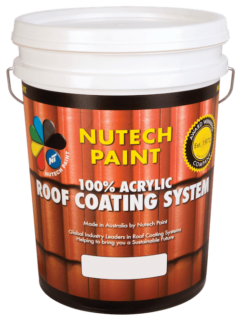 High quality elastomeric coating designed for sealing and waterproofing roofs. 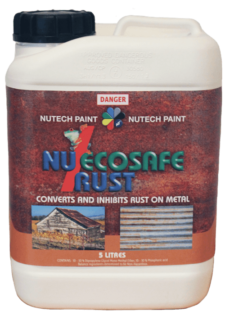 EcoSafe Strip Rust Converter & Inhibitor is a water based rust removing compound specifically designed to provide a clean, rust free surface prior to re-coating. 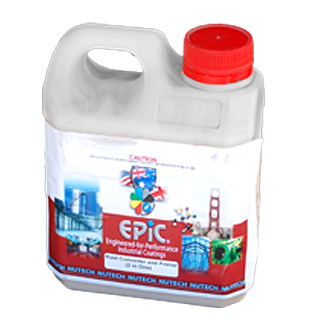 Suitable for removing heavy rust and prevent re-rusting for extended periods of time. 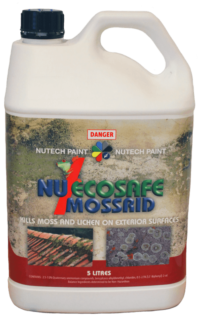 Nu-EcoSafe MossRid is a pure, organic, non-toxic contact cleaning solution for the removal of moss, lichen, and mould from almost any surface area. Formulated to convert active surface rust on bare metal into a stable surface ready for coating. Cross linking alkaline curing sealer for asbestos cement sheeting.